A CARING entrepreneur from Glasgow is set to share insights from his business success story to help inspire a new generation of Scottish franchisees. Suhail Rehman opened a franchise business providing homecare for older people in 2014. Just three years on he is fast approaching a £1 million turnover and is proud to be an employer of choice in the city too. Now he is set to be a panel speaker during April’s Scottish Franchise Week at a bespoke Business Breakfast event to highlight the benefits of franchising to Scotland’s business communities. Suhail has embedded his franchisor Home Instead Senior Care’s model, together with its robust support structure, to build up his franchise. Now his business, which provides homecare for 95 clients and employs 75 CAREGivers, boasts major accolades including a 2016 Scottish Care Award and a Scottish Top 3 Homecare Provider Award 2016. The former director of a global software company, Suhail had sold his shares and was looking for a new business opportunity in 2014. He didn’t want to take the risks associated with a conventional start-up given the high rate of business failures. Two key factors have created a perfect landscape for homecare franchisees to flourish in Scotland. Recent legislative changes have brought in self-directed support enabling individuals to have a choice over care options. People are also wanting to experience a better standard of care for themselves and their loved ones. Together, this has created market opportunity for private homecare providers that can offer quality and excellence. 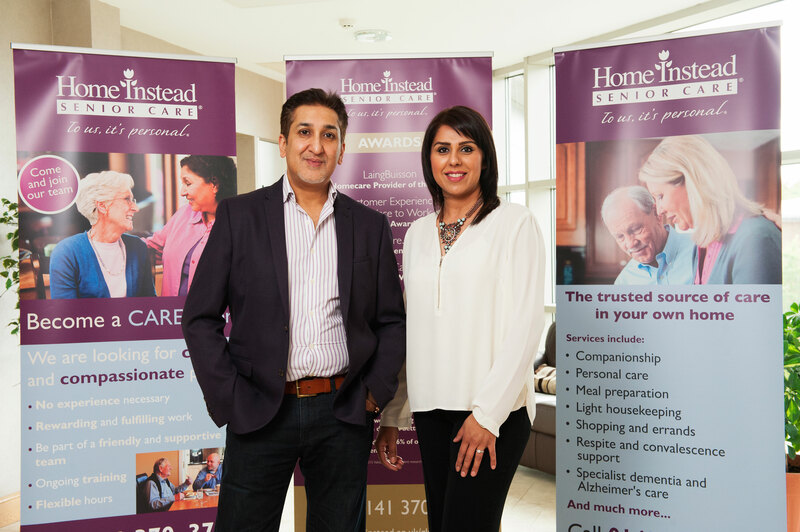 When Suhail opened his Glasgow North office in 2014, he was the 2nd Scottish franchisee with Home Instead Senior Care. The brand also has franchisees flourishing in Edinburgh, East Lothian & Midlothian and South Lanarkshire. And having seen Suhail’s success with the Home Instead franchise model, his wife Tasnim opened up the neighbouring territory to her husband, Glasgow South a year ago. Tasnim, a former business manager with Chanel, decided to leave a 14-year career with the global cosmetics brand and start a second career in homecare herself. With 23 territories still available in Scotland including: Inverness; Perth; Stirling; Dunfermline; Dumbarton; Kilmarnock & Irvine and Ayr, Home Instead Senior Care is hoping to appeal to more entrepreneurs to join its network during Scottish Franchise Week too. 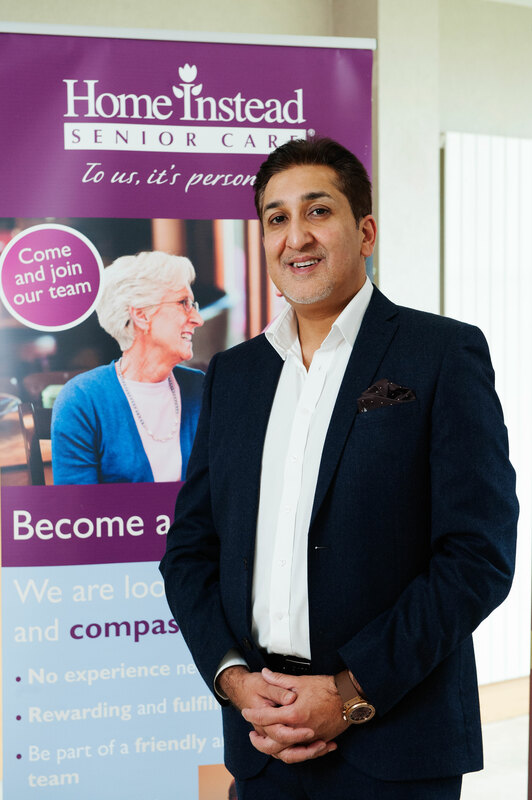 Suhail will be sharing his franchisee journey and passion for excellence in the senior homecare sector at the BFA’s Business Breakfast from 7.45-10am on Wednesday 26th April at the Radisson Blu Hotel, Glasgow. Home Instead Senior Care will also be holding 1 hour 1-2-1 franchise clinics during Scottish Franchise Week on Tuesday 25th April at the Hilton Garden Inn, Finnieston Quay, Glasgow G3 8HN. The clinics are for prospective Scottish franchisees to find out more about opportunities with the senior care specialist. Contact Vicky Brown on 01925 321 836 to book a session or fill out the enquiry form below.